“Zoo College is a fantastic resource to learn about all aspects of Big Cat Rescue’s great work and what it involves. 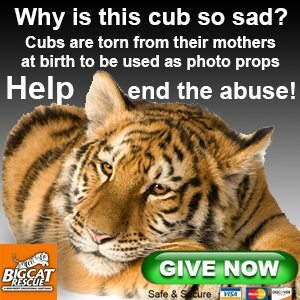 I highly recommend it for anyone interested in volunteering or advocating for big cats.” -Lisa H.
Note: Lisa H was the first graduate of ZooCollege.com and was able to complete her studies in under one month! Congrats Lisa!